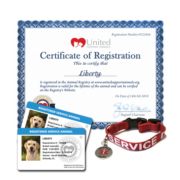 Service Animals are dogs that are trained to perform tasks for the benefit of an individual with a disability. 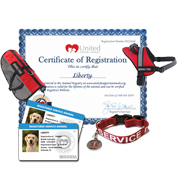 Service Dogs are allowed to accompany you anywhere the public has access. Only looking for a Doctor's letter? 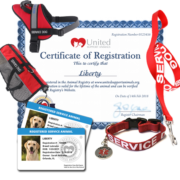 | Would like to Register an Emotional Support Animal instead?